Marriage is an occasion when every single relative shows up to bless the bride and groom. In India, especially, the footfall is even higher considering the year old tradition of inviting all the relatives and friends, irrespective of their distance from the location of the wedding. 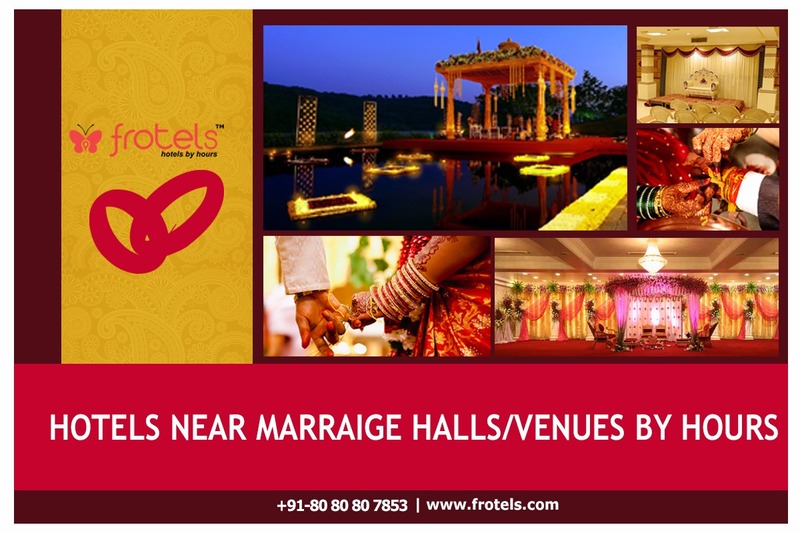 Frotels provides you hotels on hourly basis to help you make the occasion even more enjoyable. Most of the times the people looking after the marriage ceremony make sure that there are arrangements made for the guests to stay. This includes managing their accommodation, arranging them small tours of the location, etc. This all needs to be planned before hand, as the number of guests to come is very large. However, in most of the cases, this planning falls short, due to the uncertainty of guests. Sometimes, a wedding planner assumes that only a couple of people will come from a certain family, but they end up bringing a whole lot of people with them. Even though the bride or groom party, whoever is looking after the wedding, is totally OK with it, they still have to go through a hectic management to accommodate all of them. Frotels-hotels on hourly basis helps you make your occasion even more enjoyable. Frotels allows you to book hotels on hourly basis, so the wedding arrangers can accommodate their guest in hotels on hourly basis and they don’t need to pay for the whole day. Similarly, guest guests themselves can book hotels on hours with Frotels, and don’t be dependent on others.